First vs second in the Sky Bet Championship, Jack Rodwell's resurgence at Blackburn and Steve Bruce prepares to take charge of Sheffield Wednesday. It is rarely a dull affair when the top two meet in the Sky Bet Championship. Two recent games that come to mind were Cardiff vs Wolves last season - when the Bluebirds somehow missed two stoppage-time penalties to be beaten and Neil Warnock got angry at full-time - and the year before when a freak Newcastle goal turned a clash with Brighton on its head. There should be similar drama at Elland Road on Saturday evening, when Leeds host Norwich, live on Sky Sports Football, with just three points separating the two clubs. Leeds demolished Norwich 3-0 at Carrow Road back in August, but the Canaries were still some way off becoming the unit they are now under Daniel Farke, and this should be a far closer affair. Something has to give for one of them, and Sheffield United, West Brom and Co will be lying in wait if it does. What a remarkable January it was for Blackburn Rovers. Having lost their final three games in December, albeit to the current top three, it looked as though any play-off hopes they harboured might be over. But a run of four wins on the spin have followed in the Championship - while they also almost took Newcastle all the way in the third round of the FA Cup - and they are right back in the thick of things heading into the weekend. A big factor of that run has been the form of Jack Rodwell. He has slotted in at centre-back in the last three league games due to injuries elsewhere and in that time they have not conceded a single goal. "He's had a bit of a topsy-turvy career, but we see his quality and see how good he is," said Blackburn boss Tony Mowbray. "I can see the quality. He's a good human being and an honourable man. I've worked a long time in the game and I don't think I've come across a player with more natural ability." A tough trip to Brentford, who are back in form and unbeaten in their last eight in all competitions, will provide Rodwell with another opportunity to continue to rebuild the reputation that took a bit of a battering during his time at Sunderland. George Elek and Ali Maxwell from the 'Not The Top 20 Podcast' join David Prutton in this week's EFL Matters. A month after being appointed as the manager of Sheffield Wednesday, Steve Bruce will take charge for the first time on Saturday at Ipswich. It is worth noting the club and vast majority of Owls fans were completely behind his decision to take the extra month off following a terrible year for Bruce personally, and the former Aston Villa boss says he now feels refreshed following his trip to the Caribbean. 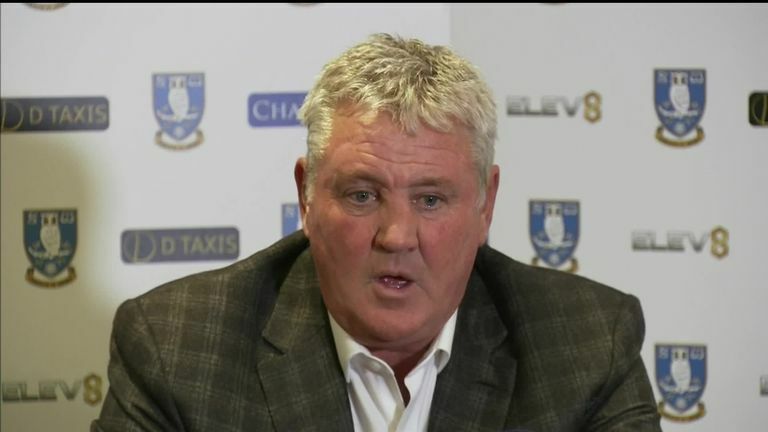 Steve Bruce discuses his ambition as Sheffield Wednesday manger after he officially began the role on Thursday. "Physically I'm great, emotionally I'm great," Bruce said. "It's been well documented about what happened over the last few weeks, few months for me, so I'm delighted to be the new Wednesday manager. "There's been a bit of a furore over the last few weeks, but I spoke to the chairman and told him the issues I had and he was prepared to say 'okay'. He wanted me to start straight away, but as I said, we couldn't, but I'm glad to be here and delighted to get started." Ipswich have lost six of their last seven games in all competitions, so Portman Road presents a fantastic opportunity for Bruce to get off to a winning start. In the end Charlton's dynamic duo was given just six months to flourish at The Valley, as Karlan Grant was plucked from the League One promotion race to join Huddersfield's unlikely survival battle from the Premier League. Grant, 21, had been at Charlton for 10 years and was finally enjoying his breakthrough season at the club, with his partnership with Lyle Taylor proving particularly fruitful in the third tier. 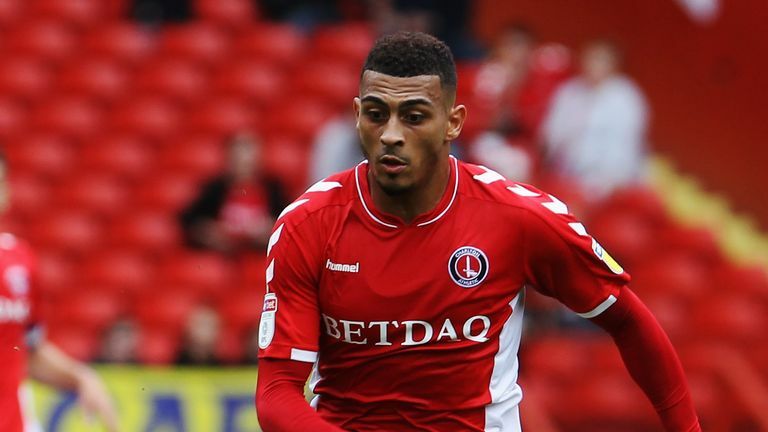 New Huddersfield signing Karlan Grant has scored 14 goals for Charlton this season. Between them the pair had scored 26 of Charlton's 47 goals this season (55.3 per cent) and combined with each other for five. Meanwhile, Grant's 14 goals and four assists and Taylor's 12 goals and seven assists meant that at least one of them had a direct hand in 37 of Charlton's goals. Boss Lee Bowyer will also be without Taylor for the trip to Fleetwood on Saturday as he continues to serve a three-match ban. Josh Parker arrived from Gillingham on Deadline Day to bolster their striking options, but maintaining their push without their dynamic duo will be a big ask. It's not been a good season for Notts County. They are onto their third manager, have won just four games and now the club is up for sale after a curious series of events away from the pitch. Neal Ardley, who jumped from the fire to the frying pan when leaving AFC Wimbledon and then joining Notts a few weeks later, now faces arguably the toughest task of the season in trying to beat Lincoln - the Sky Bet League Two leaders. 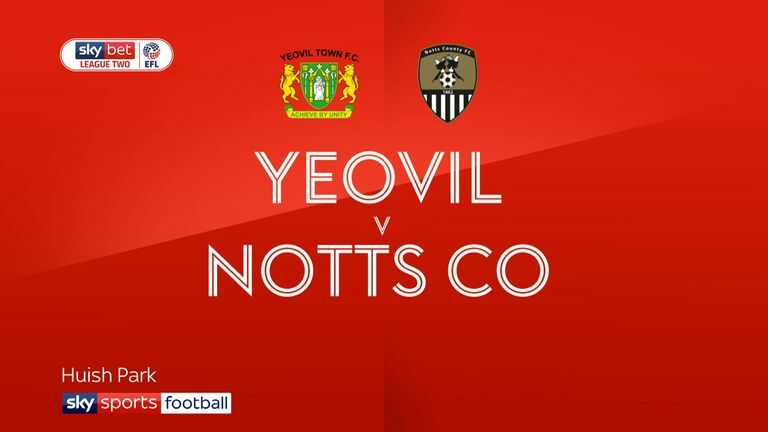 Highlights of the Sky Bet League Two match between Yeovil and Notts County. It shows how far they have fallen that Notts County actually finished two points and two places clear of Lincoln last season - although both went on to lose in the play-off semi-finals. Nowadays there are 38 points and 23 places separating the two sides, with Lincoln providing an excellent example of what a well-run club can achieve if everyone from the boardroom down is pulling in the same direction. Defeat could leaving Notts County 12 points adrift of safety with 16 games left to play. Even with all the January signings it is getting harder and harder to see a way out for them.